Eating healthy is hard, especially when you hit that 3 p.m. slump. 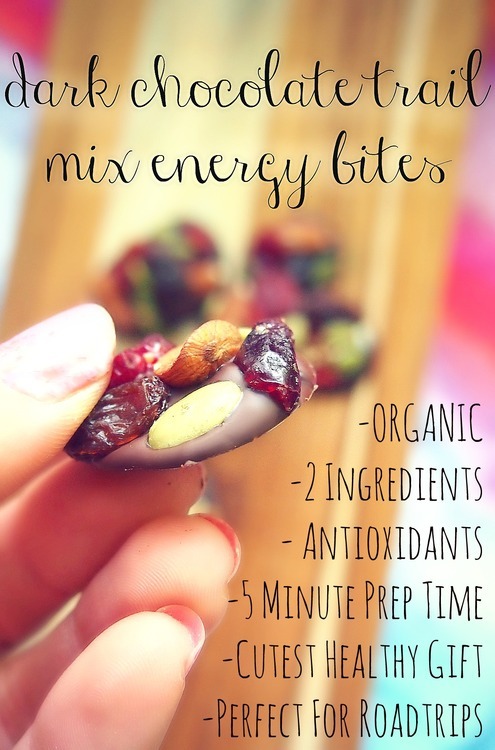 These energy bites are the perfect solution. With a little sweet from the dark chocolate, and some healthy energy from the nuts and fruit these are sure to keep you on track. Thanks to Undressed Skelton for this great recipe!